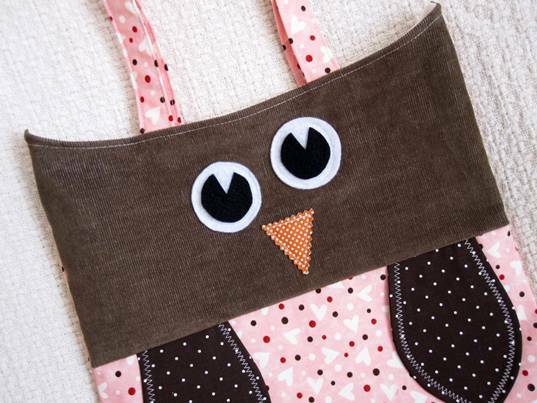 Green kids can show their love for the earth this Valentine’s Day and beyond with these adorable, reusable owl totes! We all know that reusable bags are the perfect alternative to plastic bags, but few are as sweet as this Valentine the Owl Tote Bag. On Valentine’s Day you can fill this cute tote with special goodies — and then your little one may continue to use this handy bag to carry her books, arts and crafts, and more throughout the year. This original, handmade tote features a corduroy face and a Valentine print on the tummy. Two tiny wings are made from chocolate polka dot fabric with zigzag decorative stitching. The bag, including handles, are lined with interfacing for durability. Other smashing Valentine’s Day owl totes include Polka Dot the Owl and Bloom the Owl. Green kids can show their love for the earth this Valentine's Day and beyond with these adorable, reusable owl totes! We all know that reusable bags are the perfect alternative to plastic bags, but few are as sweet as this Valentine the Owl Tote Bag. On Valentine's Day you can fill this cute tote with special goodies -- and then your little one may continue to use this handy bag to carry her books, arts and crafts, and more throughout the year. This original, handmade tote features a corduroy face and a Valentine print on the tummy. Two tiny wings are made from chocolate polka dot fabric with zigzag decorative stitching. The bag, including handles, are lined with interfacing for durability. Other smashing Valentine's Day owl totes include Polka Dot the Owl and Bloom the Owl.